The Augustine Fellowship Program is sponsored by American Leprosy Missions and administered by CCIH. It supports the deployment of a Christian professional to serve in a non-medical capacity at a health facility or nonprofit organization. Anthony Osemene is an Information Technology Expert for Science Resources Africa in Nigeria who was stationed as an Augustine Fellow at the National Public Health Laboratory at Jean Piaget University in Guinea Bissau from August to December 2018 to build the capacity of the lab. Anthony is shown above wearing traditional dress given to him by his colleagues in Guinea Bissau to demonstrate respect, honor and appreciation. Anthony shares his experiences in the program, and what he will take back to his post in his home country. 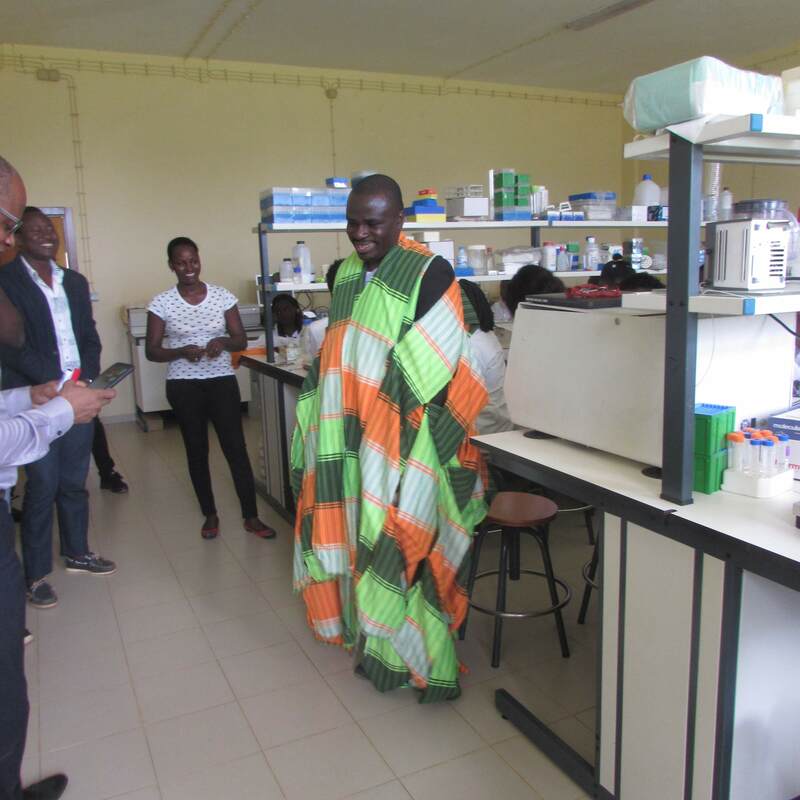 What do you believe was your greatest contribution to the Public Health Laboratory in Guinea Bissau? Online training lab at the National Public Health Laboratory in Guinea Bissau. 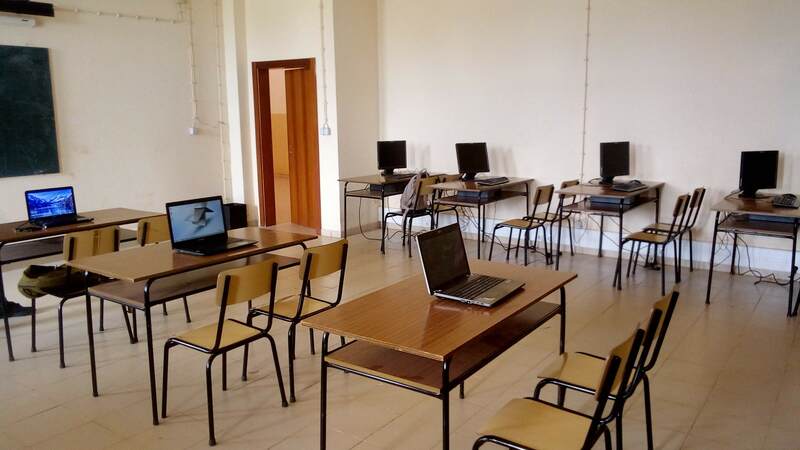 My greatest contribution was to set-up an on-site training laboratory for the health workers in Bissau and a training intranet to aid the computerization of the medical laboratory training program at the National Public Health Laboratory. I also trained the IT technicians on how to support the Rector and other trainers to use the intranet to delivery training materials. The intranet will greatly reduce the travel burden, especially of the Rector of the University, who had to travel to deliver training. What new capabilities did you gain in your assignment that you will bring back to your position at Science Resources Africa? I am taking a lot back to improve my work with Science Resources Africa (SRA). For example, I have learned how to support innovative training methods and enhancing information management and human capacity development. These experiences will be very useful in supporting other initiatives that SRA may be involved with in other less developed and remote facilities in Nigeria or other countries. How did you grow personally during the fellowship? I have improved in my communications skills and have also developed in the areas of team work and collaboration. I have also learned the necessity of flexibility and contingency planning in project development and execution and the importance of risk management and having mitigating measures in place to reduce unforeseen challenges. How did you grow spiritually during the fellowship? I got more disciplined in my prayer life and bible study times as I engaged in more private devotions and online fellowship interactions with my family. I also had the opportunity to fellowship with the Christian community and learned from the lifestyle of the people around me the principles of humility and candor in sacrificial service to humanity.